O.K., so do we have an explanation on this? Where was this spotted? Thanks for any info you can provide us on this one. 7-11 parking lot at the corner of Gravois and Jefferson. Well, a Google search implies Qaekr is a St. Louis tagger. Impressive, at the least, if he’s having decent quality stickers made. Seen a number of them here in Warrensburg. 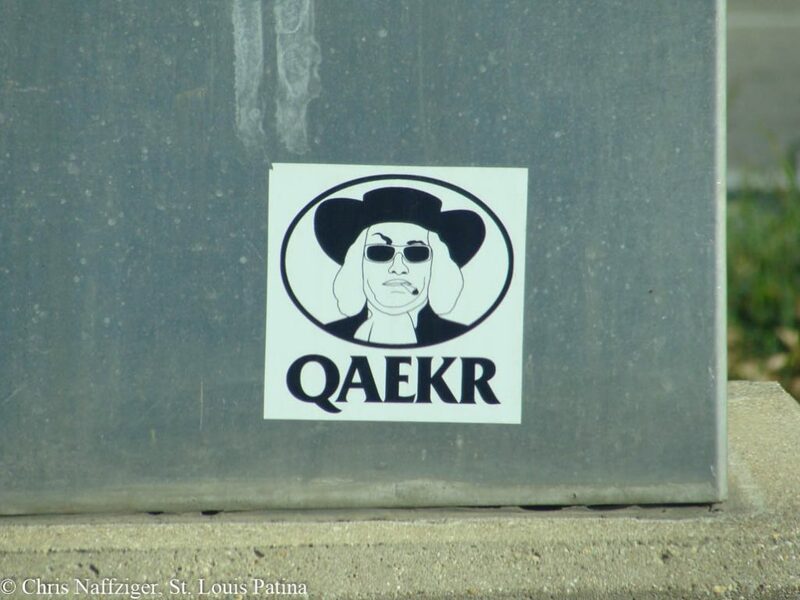 Maybe QAEKR went to Univ. Central MO or just has friends here? I recently photographed one of those in Indianapolis, when I went to Koch Electric to have my furnace blower repaired… tons of graffiti in the area.